In a recent case, an insurance company appealed a decision of the Maryland Court of Special Appeals that a general release executed by its insured releasing a tortfeasor’s liability didn’t also waive her claim under her policy’s underinsured motorist provisions. The case arose from a car accident involving one vehicle. The plaintiff Ember Buckley was a passenger and her boyfriend was driving. The boyfriend was covered by a Geico liability insurance policy with policy limits of $100,000. Geico offered to settle the plaintiff’s claim against her boyfriend for full policy limits. However, the plaintiff had medical bills of more than $200,000. Since her boyfriend’s policy didn’t cover all of her injuries, she filed a claim with her uninsured/underinsured motorist policy. The plaintiff sent a notice of the settlement offer from Geico to her own insurer in order to comply with Maryland’s uninsured motorist rules. Her insurer said it would waive its subrogation rights (right to collect) against the boyfriend. Accordingly, she signed a full release of all claims against her boyfriend and his insurance. After signing this release, she tried to collect from her underinsured motorist policy for the rest of her injury-related bills. Her insurer denied coverage and refused to pay. The plaintiff sued her insurer for breach of contract. She sought the limits of the policy ($300,000). Her insurer denied liability, but did not raise the release as a defense until a few months after it filed its initial answer. The parties filed motions for summary judgment. Her insurer argued that the release was a general release and therefore released everyone from future claims regardless of whether they were parties. 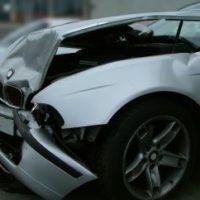 The plaintiff argued the release only applied to her boyfriend and his insurer and that she had executed the release in connection with § 19-511 (pertaining to notice and settling claims in connection with uninsured motorist coverage). The court agreed with her insurer. She appealed to the Court of Special Appeals, which held that in the context of § 19-511(e), signing a boilerplate release in favor of a liability insurer doesn’t remove an uninsured motorist’s obligations to issue an uninsured motorist payment. Her insurer asked the Court of Appeals to review. Buckley argued that a release signed in accordance with § 19-511 could not be read to release an uninsured motorist carrier. Her insurer countered that the plain language of what she had signed released all known claims against persons or entities even those unaware of the release. The Court of Appeals explained that releases are contracts interpreted according to the intentions of the people entering into the agreement. Courts must interpret contracts based on what reasonable people in the position of the parties would have meant at the time of signing. The appellate court explained that § 19-511 acted as an applicable statutory barrier to interpreting the contract in the way that her insurer urged. The appellate court explained § 19-511 was specifically referenced in the plaintiff’s letter asking for her insurer’s consent to her signing the release. Section 19-511(e) allows an injured person to execute releases in favor of a liability insurer and its insured without prejudice to a claim the injured person might have against the uninsured motorist insurer. If you have been hurt because of somebody else’s negligence, you should consult with an experienced Maryland personal injury attorney as soon as possible. Contact the attorneys of Steinhardt, Siskind and Lieberman at (866) 902-4111 or via our online form. Unlike many other personal injury attorneys, we can also help you determine the full range of benefits available to assist you after an accident.